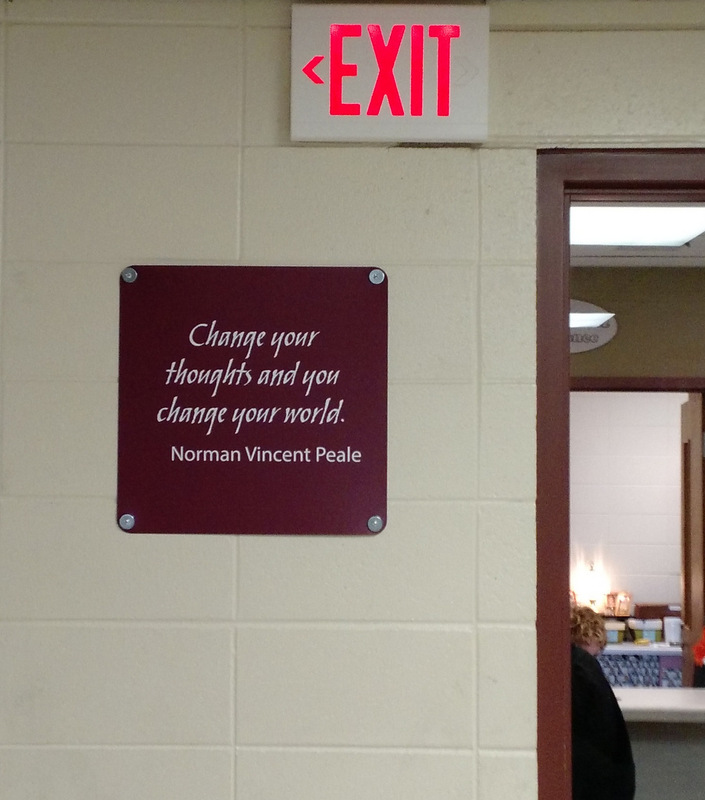 Students and staff are now welcomed into the high schools by new, positive signs. Assistant Principal Dave Uelmen describes the new signs, which are posted in hallways and other common areas, as being all about optimism. “Instead of saying in the hallway ‘don’t run, don’t tell, don’t hit’, it’s framing expectations in a positive way,” Uelmen said. The signs were installed over the April 11th weekend, and additional signs were mounted the following weekend. The signs are an idea from PBIS, or Positive Behaviors and Intervention Strategies, a broad, national organization that helps schools organize a healthy learning environment. PBIS is branded locally as the Compass program. 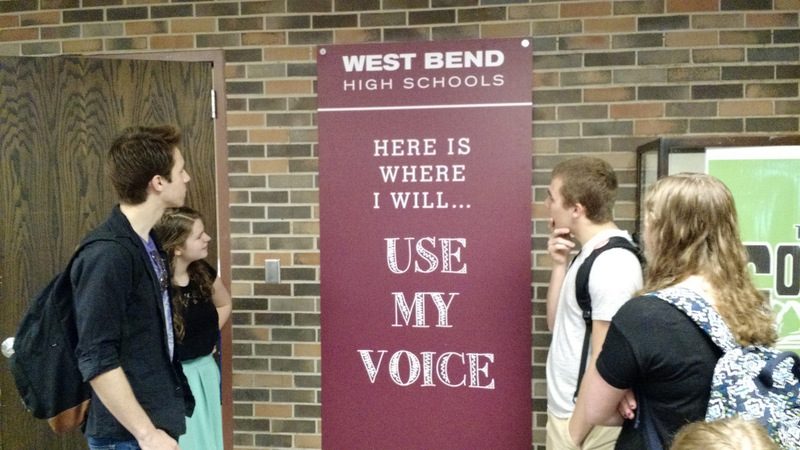 The signs were purchased using district money over half a year ago, but installation was delayed due to uncertainty regarding the high schools’ future. Kerry Hughes, coordinator of the PBIS program, explained that last fall’s community discussion about East and West potentially combining was the reason for the delay. Since the signs are East and West colors, a combined high school would render them outdated.